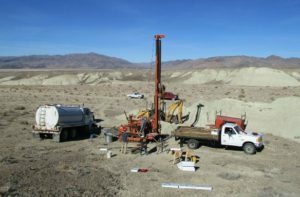 Drilling the Dean lithium project in the Clayton Valley, Nevada. 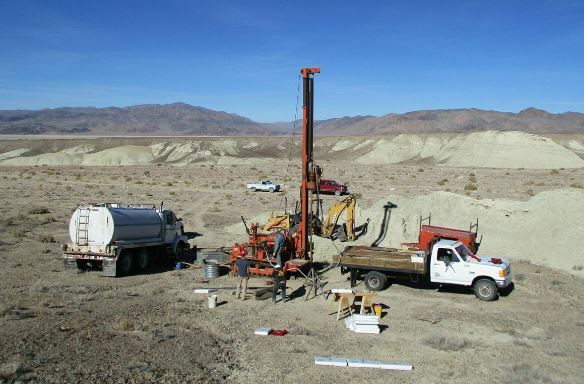 Source: Cypress Development Corp.
Cypress Development Corp. [TSX-V: CYP, OTCQB: CYDVF, Frankfurt: C1Z1] is pleased to announce that a National Instrument 43-101 Technical Report titled “Preliminary Economic Assessment Technical Report for Clayton Valley Lithium Project, Esmeralda County, Nevada” has been filed. The Report is available for review under the Company’s profile on SEDAR at www.sedar.com, and on the Company’s website at www.cypressdevelopmentcorp.com. 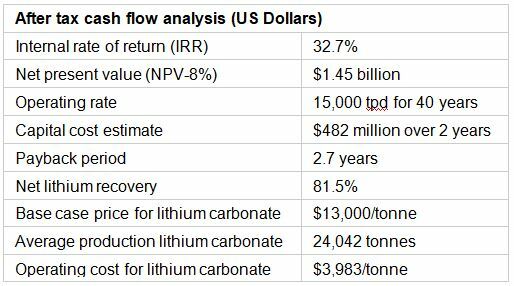 The Report was prepared by Global Resource Engineering (GRE) of Denver, Colorado, an independent engineering services firm with extensive experience in mining and mineral processing.